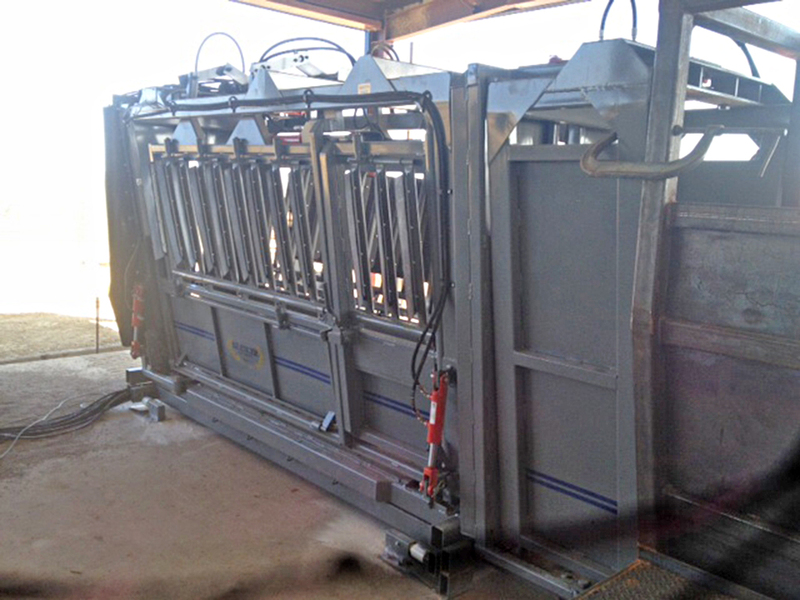 SILENCER Tilt model keeps cattle calmer while hoof and leg work is performed. 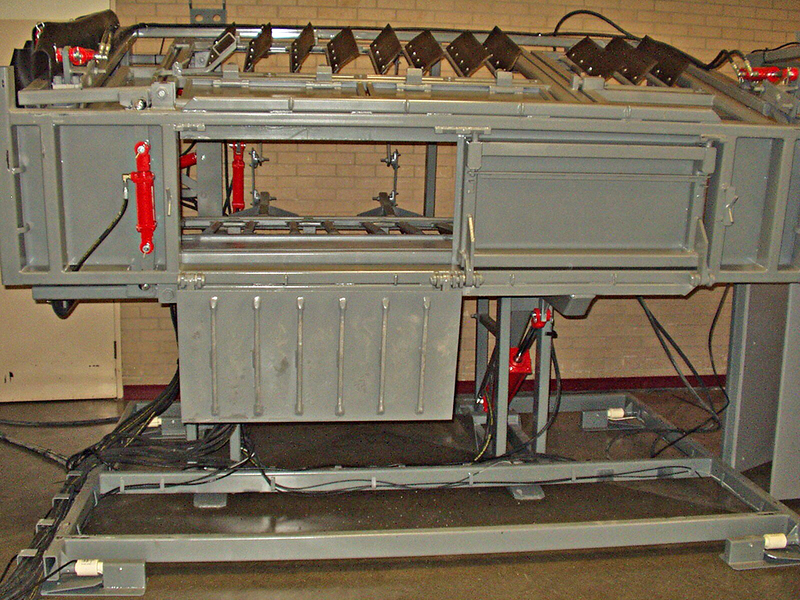 The tilt bottom swings down and out of the operator’s way. 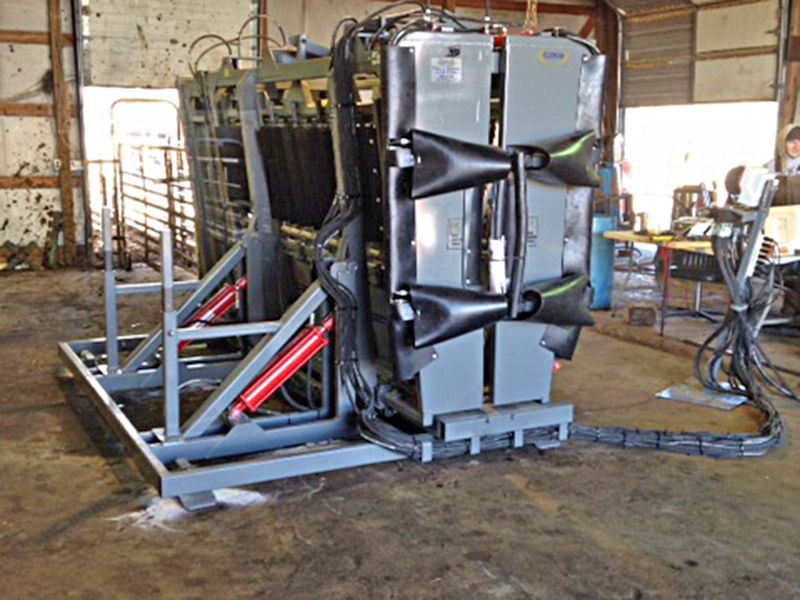 The extended length of the hydraulically operated tilt chute provides room for bull testing and cow palpation, yet adapts to hold even 300 lb. cattle. 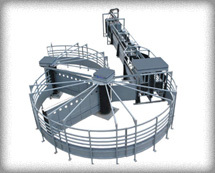 The Tilt chute controls are remote so that the operator can adjust the chute even when an animal is laid on its side. 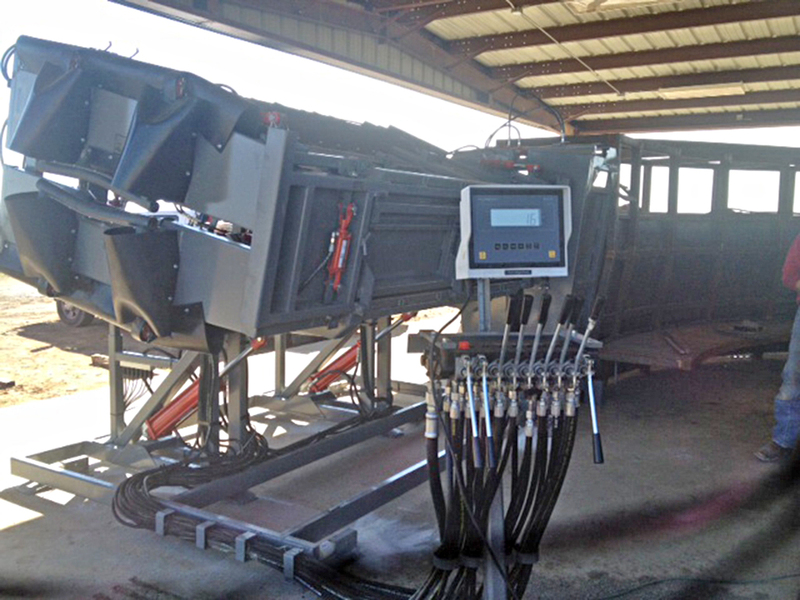 Optional hydraulic leg pull and hydraulic calf pull available on the SILENCER Tilt model. 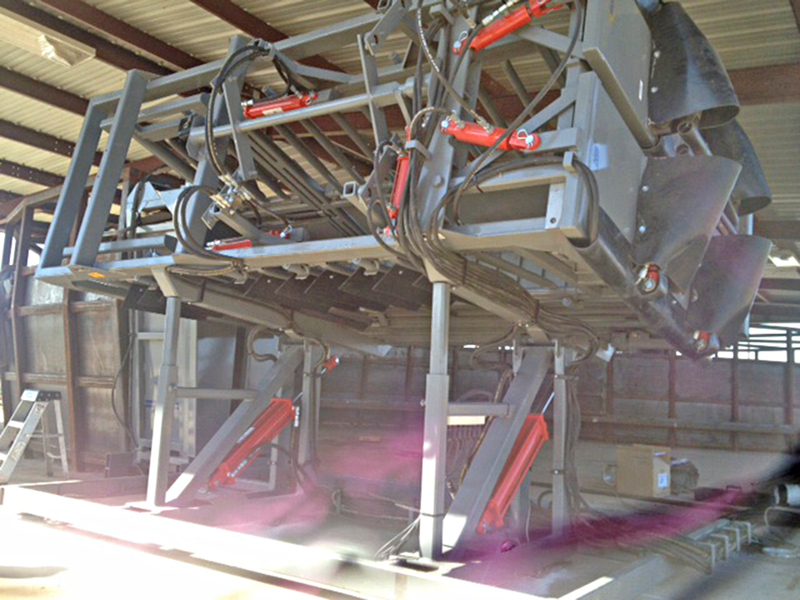 Taildoors on chute: 132 1/2"